In the late spring/early summer of 2017, after months of trying, I found myself pregnant for only the second time in my life. We discovered soon after that the pregnancy was ectopic, and I had emergency surgery to remove an ovary. Had the pregnancy been normal and healthy, the baby would have been due at the end of January 2018, so... I would have a kid turning 1 right about now. This past spring/summer, I managed to get pregnant again. And my heart broke a second time when it ended in miscarriage. Had the pregnancy been normal and healthy, the baby would have been due at the beginning of February 2019, so... I would be waddling around, very nearly full term right about now. Instead of a birthday or a due date circled on my calendar, I have put a star by February 1st, the day that registration for USPA Nationals opens. In 2017, a few months after I had first moved up here to Oregon, I was signed up to do a springtime meet. But I dropped out because I wasn't able to commit to training, and I didn't want to show up with anything less than my best. 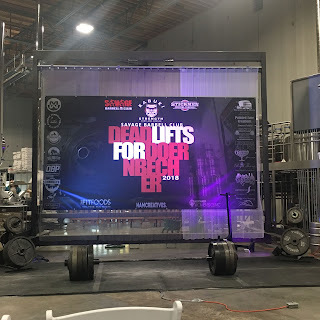 Like, I couldn't fathom the idea of competing and not going all out, so I didn't want to do it at all, even though I could've probably broken records and made a decent showing. Can you relate? I think there are a lot of us who are like, "If I can't be awesome, I don't even want to try." Admittedly, it's probably not the best way to go through life, but that's kind of how I've always been. Yesterday, however, I did that very thing: I showed up to a meet untrained, under-rested, and still trying to get over a cold and cough. You know, after a WEEK of stressing out about my students' grades, the end of the semester coming up, and the piles of essays waiting for me at home. 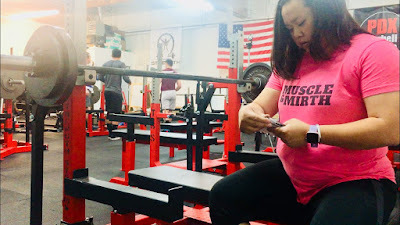 Being a (cishet) woman in powerlifting has been an interesting experience so far. Among my own personal circle within the lifting community, it's been great. 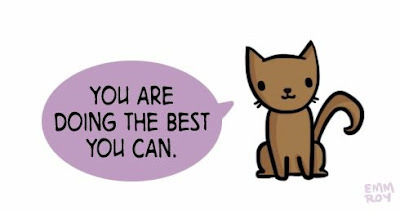 Everyone I know and have lifted with has been really supportive and encouraging. I've never had a man get upset at the fact that I am strong. (At least, not to my face or in any way that has gotten back to me.) I have always been approached with respect and kindness. I feel valued and strong. I feel empowered. Looking at the larger community of powerlifting on social media, I feel... less so. 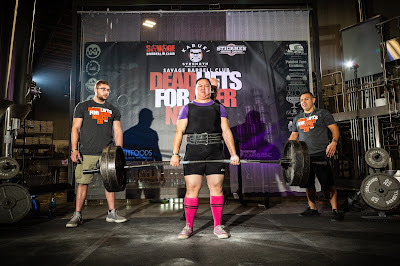 Granted, social media (and mainstream media) has this effect on everyone regardless of what hobby or interest you're talking about, but even within the powerlifting community, I constantly feel like I am not good enough. I have to admit, I've been lost lately. It's been an ugly combination of poor physical health exacerbated by stress, which leads to poor mental health, which then exacerbates the stress. It's a terrible cycle. I have to say, I have cried in front of people a little too often lately. Like, AT WORK, even. This is my twelfth year of teaching, and I have cried at work more times in the last month than I have in all the years before. I feel like I've been sick for going-on-two months now. It's not just teaching though--I'm stressed out by many different aspects of my life right now, and even the things that are supposed to be enjoyable are also now adding to that. So, you probably know that I'm super into planners, and Happy Planner's new line for 2019 features five different "Planner Girls": Socialite, Faith Warrior, Super Mom, Miss Maker, and Healthy Hero. You can probably guess that I automatically gravitated towards Miss Maker (the "crafty" girl) and Healthy Hero (the fitness/health girl). Like, that's a given. If you know me, you know those are SO my thing. Like, absolutely no question there. I am not Socialite, and I am not Faith Warrior. But the Super Mom label gave me pause. 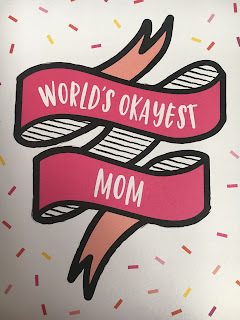 I mean, I AM a mom. I don't often think about myself that way, but I did at one point give birth to a human, and she's still HERE, and she's doing well, and by all counts, I am definitely momming here.